Positioned on lively Sukhumvit Road, the Pullman Bangkok Hotel G (formerly the Sofitel Bangkok Sukhumvit) sits comfortably amongst the very best Bangkok has to offer. Flanked by the commercial and financial district and prime shopping areas, this stunning five star hotel boasts 345 exquisite rooms and suites and tremendous city views. Modern and opulent offers a truly luxurious stay and is located just 30km from Suvarnabhumi International Airport, within easy walking distance of underground and sky train stations. From Suvarnabhumi International Airport to the hotel take the Srinakarin Expressway to the Rama 9 Expressway. From the expressway take the North Ploenchit exit and turn left and continue straight on Sukhumvit Road for approximately 1 km. The hotel is located on the main road. 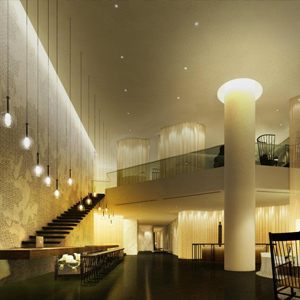 Pullman Bangkok Hotel G Opens!